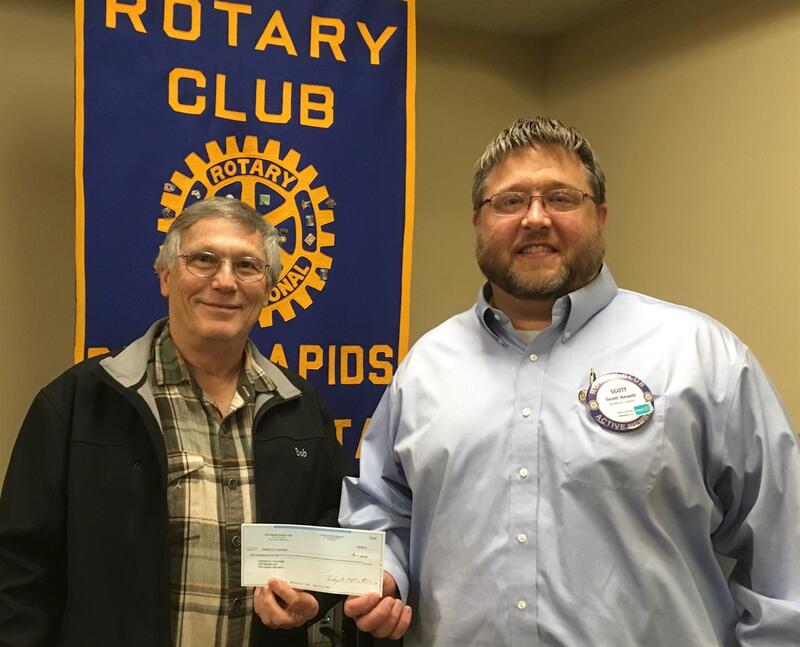 The Park Rapids Rotary Club donated $1,000 to the Hubbard County Food Shelf Wednesday, April 10. The money will be used toward the cost of purchasing a new online client registration system. On hand for the presentation were Bob Hansen, Food Shelf director, and Scott Hewitt, Rotary Club president.